Well, the new year has arrived and you’re looking to re-tool and re-spool for the coming season. What’s on your bucket list this time around? Maybe a new rod/reel combo? A new boat? Or maybe you are simply looking for a confidence bait to add to your tackle box? If so, here’s one to consider. 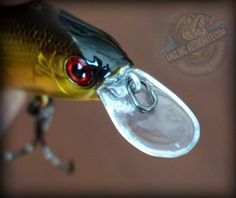 “The Bomb” by Bass Magnet Lures is a premium flippin’/pitchin’ creature bait (pictured above). These “micro” salt infused baits are very durable, yet very soft and flexible. The Bomb has a fat profile due to its “side paddles”, yet it has a thinned out body that creates a great gliding action on the fall. 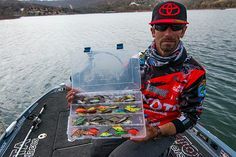 The first day out on the water with these awesome baits produced a four and a half pound Largemouth Bass on the third cast, and two or three very decent keepers to round out a very decent morning on the water. I decided to pitch pockets in and among some pretty heavy weed cover, so I went with a 1/2oz bullet sinker paired with a 5/0 EWG (extra wide gap) hook (Texas style rig). The rod of choice was a 7’ Medium heavy/fast action baitcasting rod, and a 7:1 high speed baitcasting reel spooled up with 25lb fluorocarbon Line. 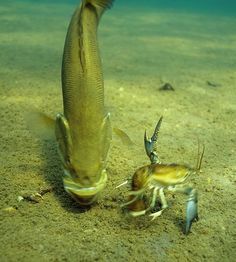 Not only did this bait turn some serious bites, it proved to be incredibly durable. A couple hundred pitches into some of the thickest of covers, and several aggressive largemouth bass violently striking at it did not cause it to rip or tear (shocking). Not having to re-rig constantly made me a lot more efficient on the water, all the while not hurting my pocket book. As far as creature baits are concerned, 5 out of 5 all the way. Subtle and durable, The “Bomb” comes in over fifteen colors, and two sizes (4.2” and 5.2”). Bass Magnet Lures has taken the very best qualities in “Beaver” style baits, and created the “Bomb”, now it’s up to you to light the fuse. 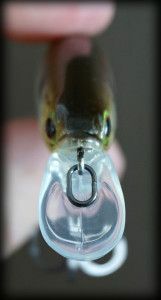 For more information on Bass Magnet Lures, check out their website, Facebook, Twitter and pages. 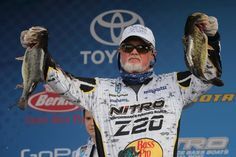 Jamie Wilson is a passionate lifelong multi-species angler specializing in both smallmouth and largemouth Bass. He is a writer for such online publications as of course, Angling Authority, Rahfish, Exist to Fish, ODU Magazine and Fishulo/Scout. 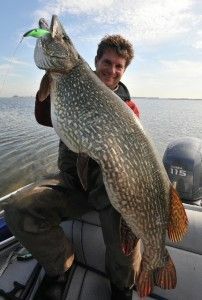 Along with being a tournament angler, Jamie comes to us representing the Canadian Bass Angler Fan Page, and he is a staff member/promotional team member for Rage Fish Attractants,Lake Fork Tackle, Rod Sox, Fizards, Easthill Outdoors, Riverrun Tackle, Musky Innovations, Bumblelure, Kamooki Lures ltd. and Bill's Bait and Tackle. Jamie is also the owner of J.W. Media.